There are mornings when I wake up and feel for something different from the usual cereal and milk. This morning was like that, I wanted something a little more exciting for my taste buds; something that would make my whole mouth say “WOW!”. 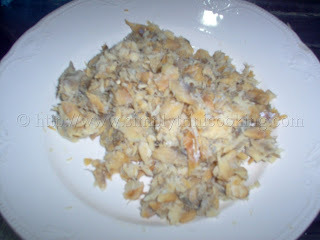 And I had just the thing in mind Saltfish Buljol. 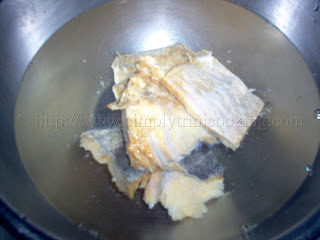 This is another of Trinidad’s no hassle dishes passed on from generations, where the less time spent in the kitchen, cooking meals, meant that there was more time to do something else around the house or garden etc. 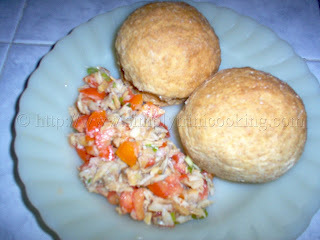 The only ingredient that is cooked in this dish is the saltfish, and frankly it ought to be cooked; it is really salty. And then there is the heavy amount of pepper that is usually added to this dish. According to “Cote Ci, Cote La: Trinidad and Tobago Dictionary” by John Mendes (1986), Buljol comes from the French Patois “Brule Gueule,” or “burn mouth,” or as we say in Trini bun mout and I could understand why. 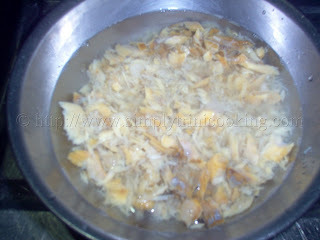 Buljol is supposed to be peppery hot; it not only burns the mouth, but the lips and the throat, and a few hours later …. ha, ha…. But that really depends on how much pepper you put in it. So for the soft mouth people who can’t handle the burn, you can use less pepper (and still enjoy this tasty meal). 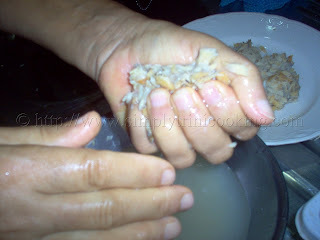 Again, I always like to encourage people to experiment and let their taste buds be their guide. 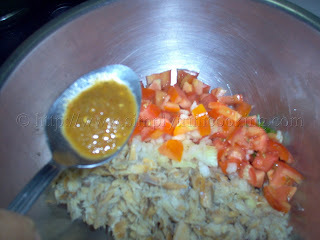 Buljol goes great with coconut bake , roast bake or even a hot sada roti; you could try a hops bread or a few CRIX crackers. No matter how you want to eat your buljol remember this, your mouth would say “wow” at the explosion of taste sensations in your mouth, while eating. 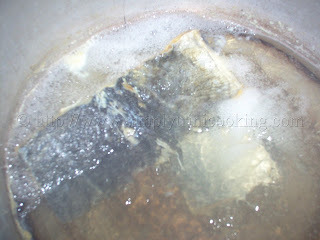 Boil, clean and debone the Saltfish . 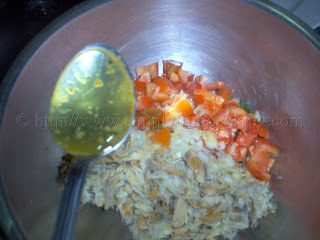 lemon juice and pepper to saltfish and mix thoroughly. Could be refrigerated or served right away. My mouth did burn me a little and it went well with the two hops bread. Now I have to go look for something to drink. See you soon… Of course, Sunday I’m taking a rest as usual, so see you Monday! 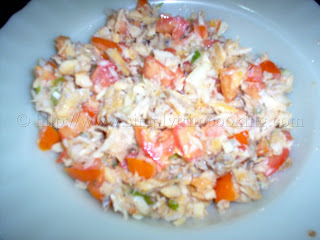 As a child especially for Good Friday’s meal, boiled eggs were put on top of the salt fish buljol. Happy weekend to u .